President Abdel Fattah al-Sisi, during a meeting on Monday with the Minister of Transport, Chairman of the Suez Canal Authority, and Chairman of the Administrative Control Authority, announced the completion for the study of an economic development plan, along with developing a timetable for its implementation alongside the various governmental bodies. The meeting discussed development of a transport logistics network in Egypt, seeking to transform Egypt into a global center for the transport and logistics industry. 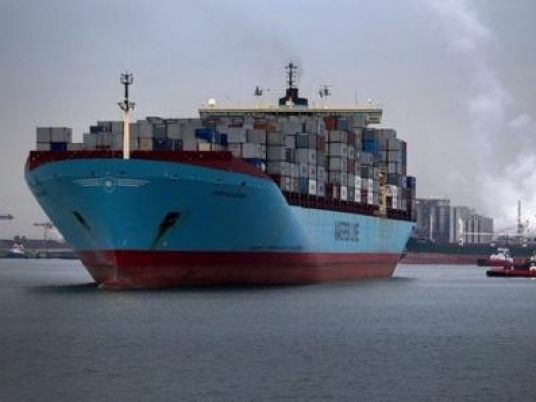 This would thus contribute into achieving economic development, maximizing the utilization of the Suez Canal as well as the geographical location and the infrastructure available in Egypt, along with establishing logistical hubs based on a multi-mode transport system covering maritime, river, land and railway transport, according to the presidency’s spokesperson Bassam Rady. The plan will enable the transportation sector to gain a large share of the regional and international transport and will provide transport services for individuals and goods with the highest efficiency, speed at the lowest cost, he added. Rady added that the objectives of the plan include; raising the efficiency of the railways, establishing a new network of roads dedicated to the transport of goods and linking production areas with ports, upgrading the efficiency of the existing road network to accommodate the expected increases, increasing the capacity of ports through the establishment of a number of logistics centers and dry ports, raising the efficiency of river transport and establishing a number of river ports attached to logistic areas. The strategy also includes the development of laws related to transport in Egypt through the amendment of some existing laws, joining a number of international conventions that organize the transfer of goods across borders beside the development of the customs system.